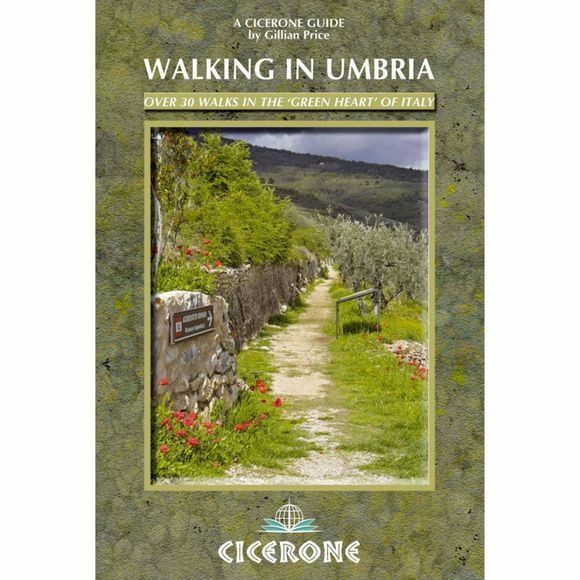 This guidebook by Italian walking expert Gillian Price describes 40 varied circular day walks in the region of Umbria, set between Rome and Florence and dotted with Unesco World Heritage towns such as Orvieto, Norcia, Perugia, Gubbio, Spoleto and Assisi. The landscape, like that of neighbouring Tuscany, is one of rolling hills and deep woodlands, without the crowds of other well-known holiday regions in Italy. Walks cross flower meadows, wander down river valleys and also climb onto rugged hills and Apennine mountains, visiting Roman and Etruscan ruins as well as myriad ancient villages. This, the first comprehensive English-language walking guidebook to Umbria, also includes lots of practical information about recommended gear and maps to take and tips on local food, wildlife and culture, as well as useful tourist, accommodation and transport information and a brief Italian-English glossary. This is all you will need for your spring or autumn walking holiday exploring the 'green heart' of Italy.